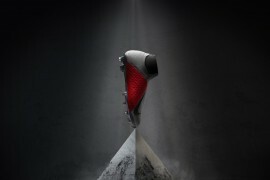 Topper is a football boot brand that hails from South America. It’s perhaps best known worldwide as the sponsor of the Brazilian national team that played in the World Cup in 1982 – think SÄ‚Ĺ‚crates, Zico, FalcÄ‚Ĺo and Junior. Nowadays Topper is the official sponsor of the six times world futsal champions Brazil, a team where every player wears the same Topper futsal shoe. But we are here to tell you about their football boot, not their futsal credentials. 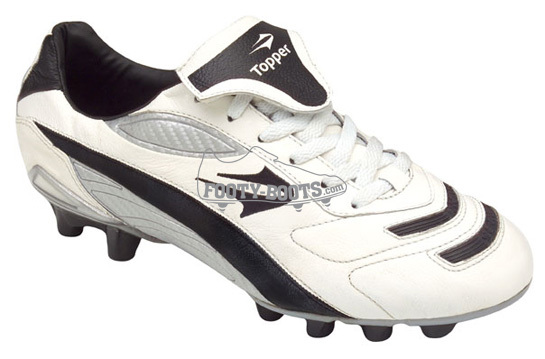 The top of the range football boot from Topper in 2009 is the One Professional, developed by the South American brand for both professional and serious amateur players. It’s made from an impermeable K Leather that moulds to your foot, features a high degree of elasticity, and should be very comfortable. The outsole features a moulded stud, designed to help your traction and balance on the most irregular of surfaces, no doubt typical in Brazil. A Dynatech shock absorbing module runs along the sole and into the heel, which again assists your balance on the turf whilst protecting the heel area. The One Professional football boot was developed by the players; Jorge Wagner (Sao Paulo and former Sevilla), Ibison (Flamengo) and Marcos (Palmeiras) the former world cup winning goalkeeper with Brazil in 2002. To follow in the steps of this pro line football boot, Topper will be launching a polyurethane model, know simply as “The One”. 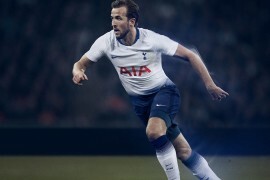 Next articleUTD TO REGRET HOME LEG? Interesting that these are good for irregular surfaces, now we are getting hard grounds I could do with a pair of these. Can I buy these from you or anyone else in England? The fact that this is worn by a few top flight Brazilian players is a pretty decent sales line. And always good to see ‘alternative’ brands to the more established names. I’m sorry but these boots look utterly disgusting. And surely nobody is buying the ‘irregular surfaces’ nonsense? Gotta disagree Scottymac. If one of the Topper features is to help me on rough surfaces, that is a big advantage for me. Last week the ground i played on was hard and bobbly. My mouldies were OK, but I was still feeling pressure on the ankles through my boot, because of the uneneven surface. I thought at the time about wearing astros, but they don’t give me the same protection. If this boot could help, i give it a big thumbs up. they look they they have come from 1982..
Okaii off the subject, footy boots, when are you going to change the poll of the Rome finale. Give us something new. All greetings, help me to buy footwear for Futsal Topper, model Extreme 2. At us in Russia them do not sell. Please!!! 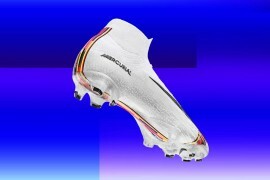 how i can buy this footbal boot in Pakistan? Hey dmitry, I can send it to you from Brazil man.